Randall’s has been inspired to make the most of living spaces for the people of Ottawa for nearly 70 years. From protecting interiors, exteriors and windows from the elements, to creating elegant surroundings through colour, design, fabric and furniture- Randall’s has evolved into a unique destination for décor. Our service is legendary thanks to the passion and professionalism of all our people. For your paint and wallcovering needs, we lead the industry in providing colour help and application advice for the latest innovative products and design. 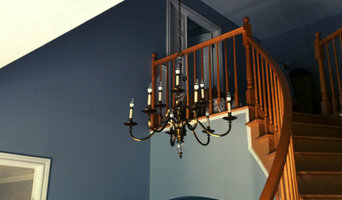 Our competitors send customers to us daily for our unique stain matching service as well as challenging paint matches. Randall’s shop at home service for window coverings offers simply the finest products specified and installed by Ottawa’s most competent professionals with a flair for the aesthetic. Our furniture department continues to supply heirloom quality furniture with an extensive diversity of woods and finishes in the same personal way we have done it for decades. If you are decorating the inside or outside of a living or working space, we would be honoured to be your partner in bringing your vision of the project to life. Perfecta Painting has been in business for over 25 years providing commercial and residential painting (exterior and interior) in Ottawa, Ontario. All work done is under warranty, fully insured and we offer a free no obligation estimate. B&G Materials specializes in selling high end, quality embroidered fabric wall coverings as well as many different types wall coverings and materials. B&G also specializes in set designing, marketing and installation of these coverings. Our company adheres to environmental protections as a precondition to the customer as that follows B&G ‘green’ industry standards. Peter brings with him a level of professionalism and care which goes above and beyond the industry standards. Being a native of Holland, The Dutchman also adds some cultural flare to his projects giving you something different than the rest. A certified painter by trade means that Peter knows how to handle even the toughest projects. He knows the professional manner in which to convert your dreams and ideas into reality. Inspired by the trade Peter started landscaping in Holland, learning the ins and outs of landscaping he branched out on his own and eventually made the voyage here to Canada where he shares his talents with us. Ponds, waterfalls, walls and pathways all materialize themselves naturally bringing a sense of purpose to your space. Vinyl lettering and wall decor that is easily applied and removed. Available in 55 different colors to customize to your own decor. Also can custumize your very own creations. Create one a a kind expressions using any of our 54 fonts to apply to virtual any flat surface. Extraordinary Contemporary Art for collectors, interior designers, and art dealers for vibrant modern spaces. Eco painting plus and services Is a Reliable Professional Painting & Janitorial Service’s in Ottawa providing the highest quality in service, workmanship and materials to suit all types of painting and janitorial from small extensions to large commercial properties. Frank & Sons Painting and Decorating Ltd. has been providing small-to-large scale professional painting services to residential, commercial, and industrial clients in the Ottawa area for forty years. We have been instrumental in building the nation’s capital by servicing developers, educational institutions, general contractors, retail stores, restaurants, insurance companies, government, and hundreds of businesses in the Ottawa area since 1969. Frank & Sons Painting and Decorating Ltd. is locally owned and operated and a member of the Ottawa Construction Association (OCA). For reputable professional service and guaranteed results call us today for an estimate. Paint and wall covering contractors are experts in the specs, application and removal of paint, wallpaper and other wall coverings. They can help you choose the paint color and finish, wallpaper style or specialty covering that best suits the needs of your Ottawa, ON home, whether the job is for the interior or exterior. In addition, they can strip off old paint or paper and prepare surfaces through sanding, skim coating and other processes. Many can handle decorative paint treatments and materials such as plaster. A paint and wall covering contractor might work closely with Ottawa, ON interior designers, builders and others, too. Here are some related professionals and vendors to complement the work of paint & wall covering dealers: Interior Designers & Decorators, Artists & Artisans, Window Treatments, Carpet Dealers. Find a paint and wall covering contractor on Houzz. 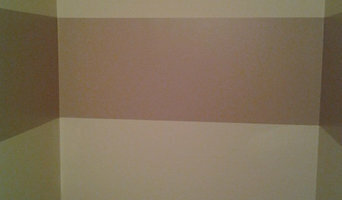 Narrow your search in the Professionals section of the website to Ottawa, ON paint and wall coverings. 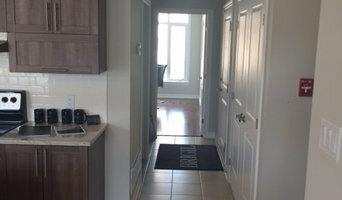 You can also look through Ottawa, ON photos to find examples of paint jobs and wall coverings that you like, then contact the professional who worked on them.